Few people feel grey about Black Friday: you either love it, or you hate it. We get it. No matter how much you love a good deal, endless crowds and chaos can make a trip to the mall feel like Lord of the Flies. That’s why, of all the advice we can give before Black Friday hits, our top tip is this: Stay at home. Skip the mall. It’s 2018, and Black Friday is an online shopper’s paradise. With the right preparation, it’s easy to cash in on Black Friday savings, all the way through to Cyber Monday. The best part of all? There’s no need to even leave your bed. Stay on top of sales announcements from your favourite brands and retailers by signing up for their newsletter and giving them a follow on Facebook, Twitter and Instagram. Companies share brand news with customers and followers first - sign up early to stay in the know. From Reddit to Red Flag Deals, there’s no shortage of deals to be found on online forums. Deals are vetted and updated regularly by real people, in real time - and you never know what you might find. Waiting for a deep discount on an underwater drone or the new iPhone Xs? We can’t guarantee it’ll happen - but if it does, a forum will find it first. If you’ve ever shopped online, you know that frantically Googling for coupon codes is part of the experience. Or, at least, it used to be. We recommend downloading an app called Honey, which amps up your online shopping game by automatically applying the best available discount code to your cart on checkout. Who needs Google? You’re the master of the internet now. As your fourth-grade teacher loved to remind you: “If you fail to prepare, prepare to fail.” We hate to say it, but in this instance, Ms. Irma is right. And she’s probably watching Wheel of Fortune on a 4K TV that cost less than your sneakers. Before Black Friday madness begins, fill your cart with everything that’s on your list, and check out as soon as the deals become available. Get ahead of the game to come out on top this Black Friday and Cyber Monday. Multiple devices for the win. If you plan to conquer Black Friday, it’s time to dust off every piece of tech in your home, as every screen has an important role to play. Use your tablet to price match on Google Shopping, your phone to seek out the latest savings on social, and your computer to check out. Remember: No matter what some might say, there’s no such thing as having too many tabs open. Know your limit, play within it. With so many discounts on offer, it’s easy to get carried away. Take some time before Black Friday to make a list of everything you need vs. want, and allocate a dollar amount for each purchase. If you’ve set aside $800 for a new mattress, for example, stick to it. You’ll find it’s easier to do than you think, especially with so many brands - Endy included - offering up rich Black Friday promotions. Want to double down on your savings? Luckily, many e-commerce companies now offer financing to make getting into bed or purchasing your new gadget even easier. Looking to cash in on a better sleep this Black Friday? 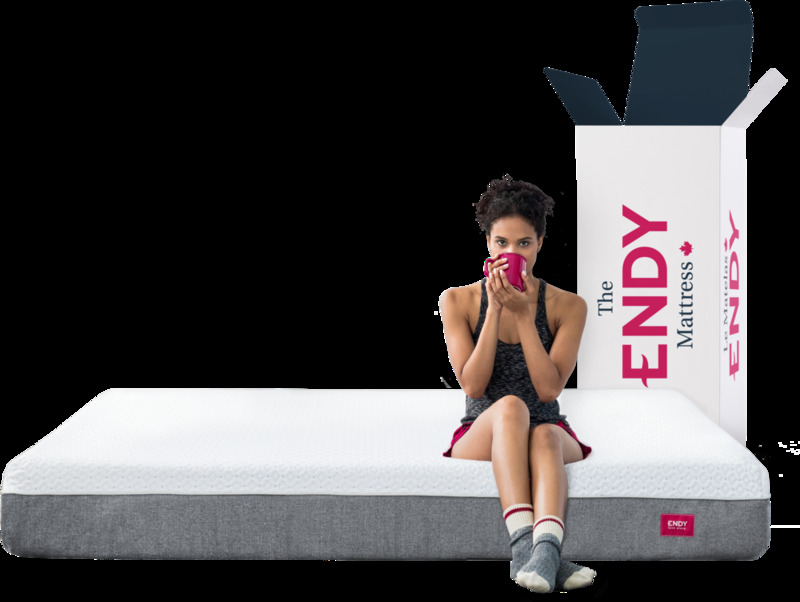 Head to Endy.com to get $65 off any size mattress with code SLEEP65. Offer available until Sunday, November 25th at 11:59 PM EST.